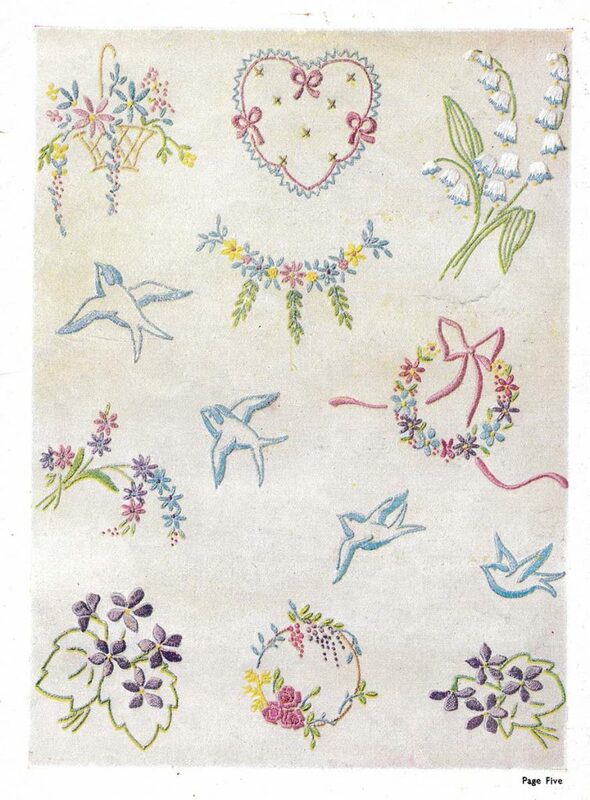 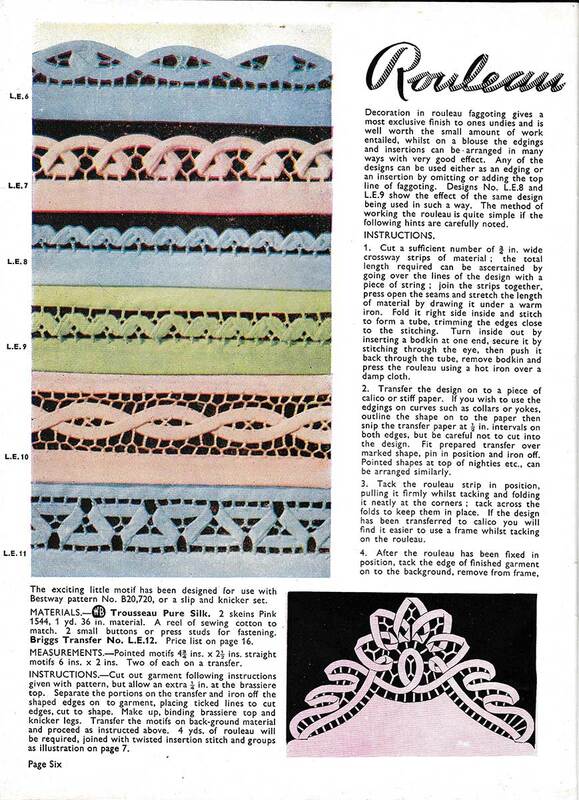 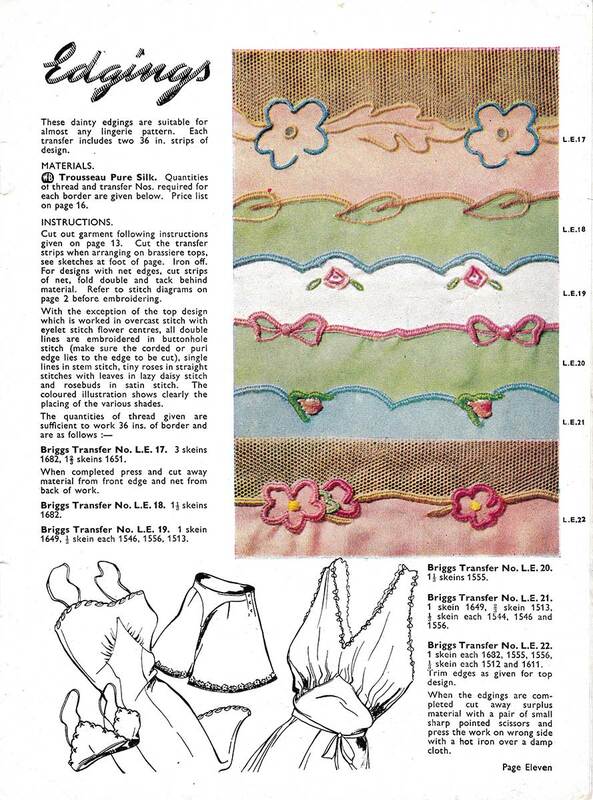 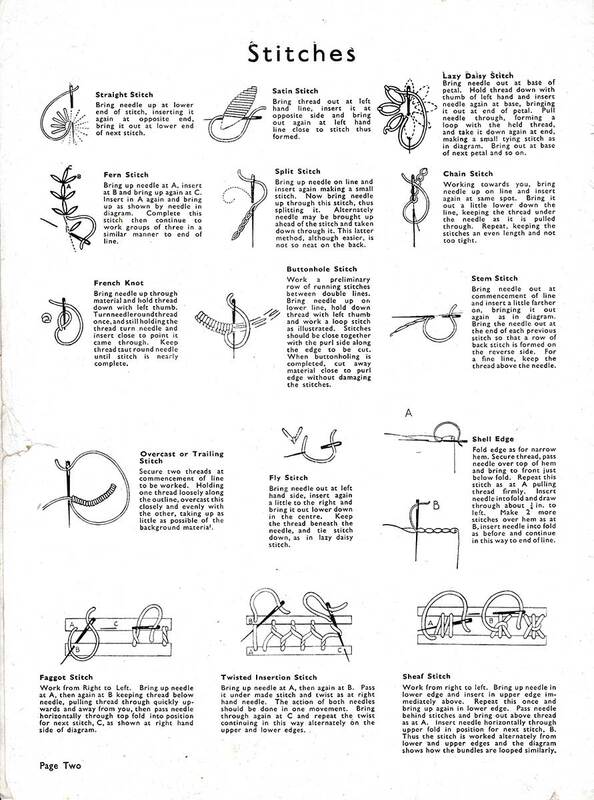 A catalogue of embroidery designs from Manchester-based company Briggs’ Transfers. 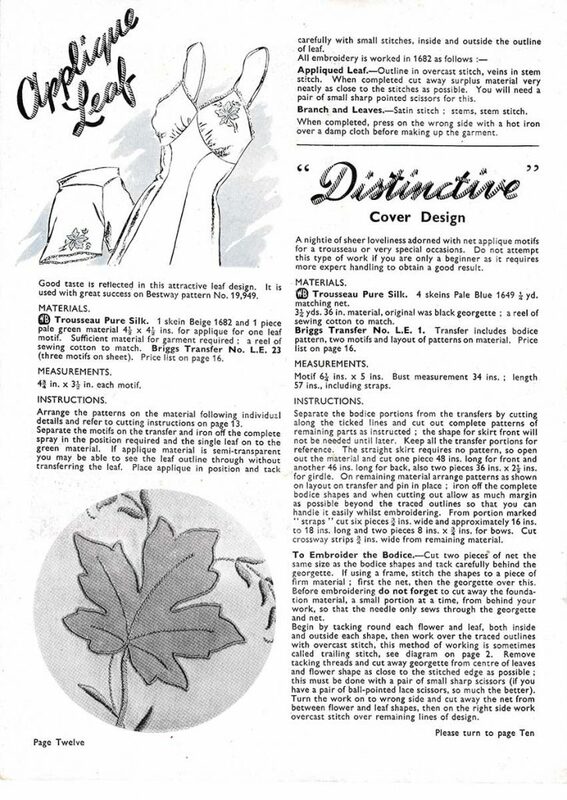 The company produced paper transfers of designs that could be ironed on directly to fabric, providing the embroiderer an easy and convenient outline to follow. 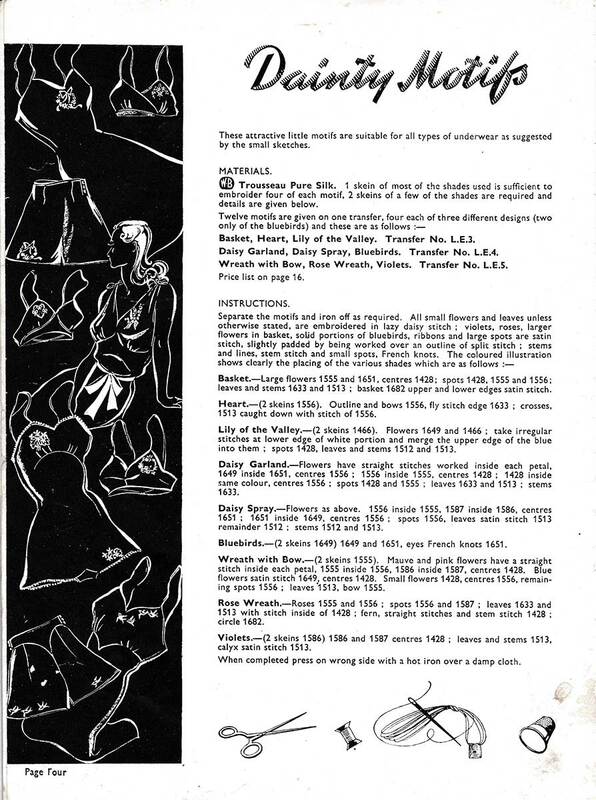 The technique had a patent filed by the company in 1885. In the first half of the 20th century, many individuals made much of their wardrobe at home rather than purchasing it in the shops, so products like this aimed at the home-sewing market proved very popular. 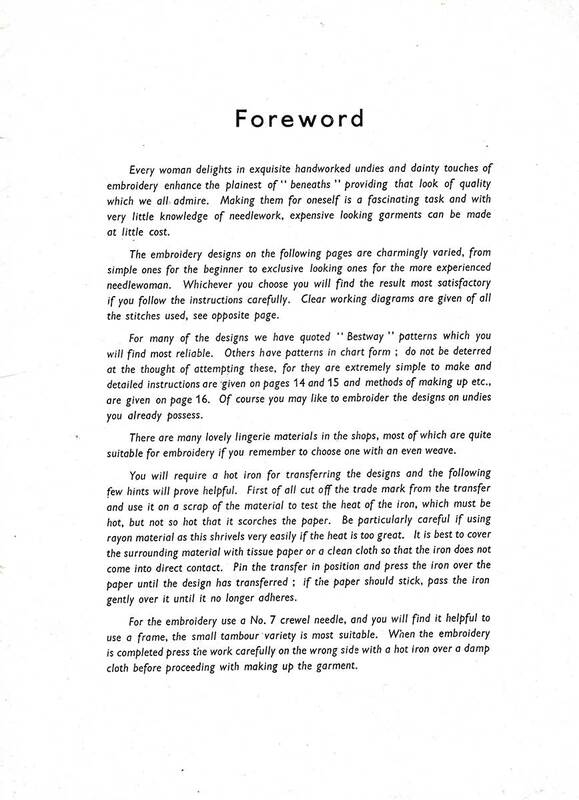 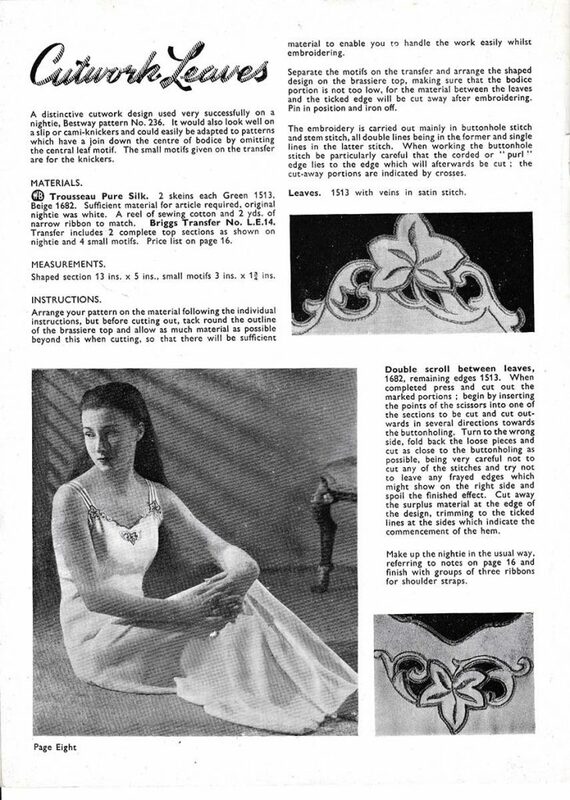 The catalogue includes not only a range of embroidery designs, but extensive instructions on how to sew them, which fabrics to use, how to construct the garments and even a small range of garment patterns. 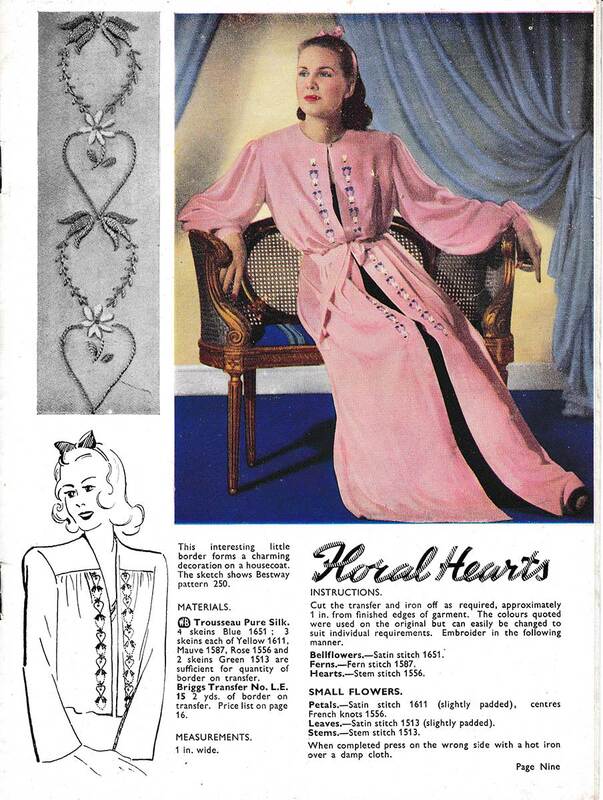 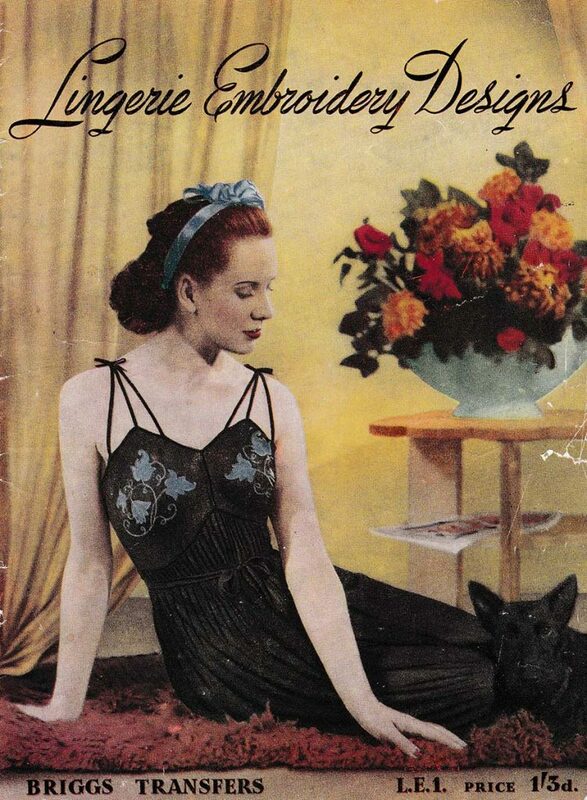 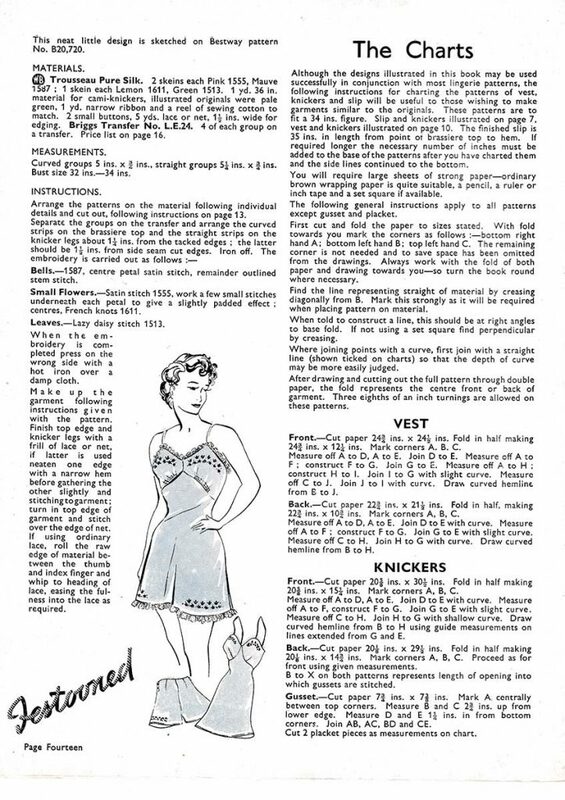 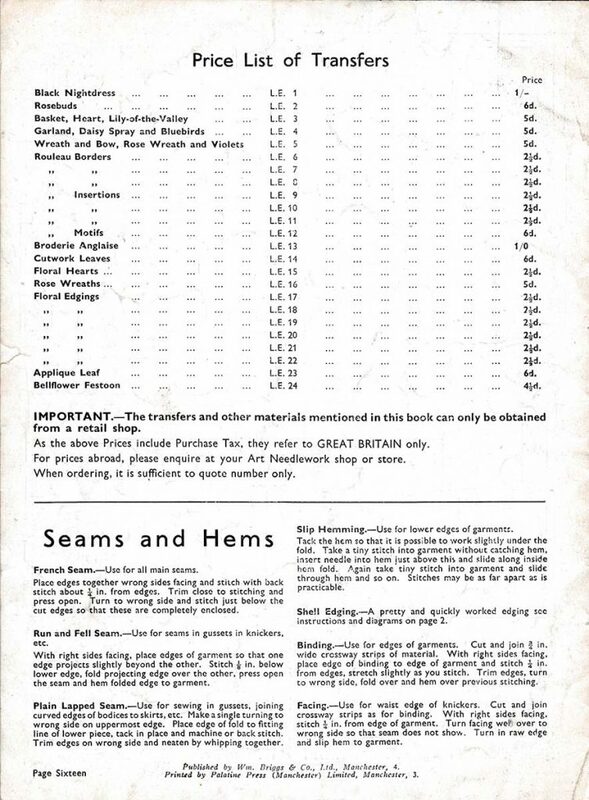 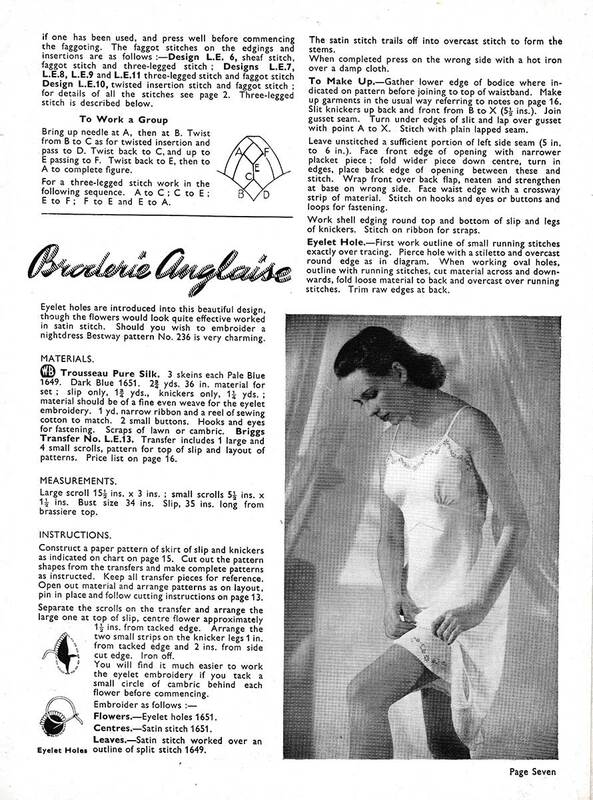 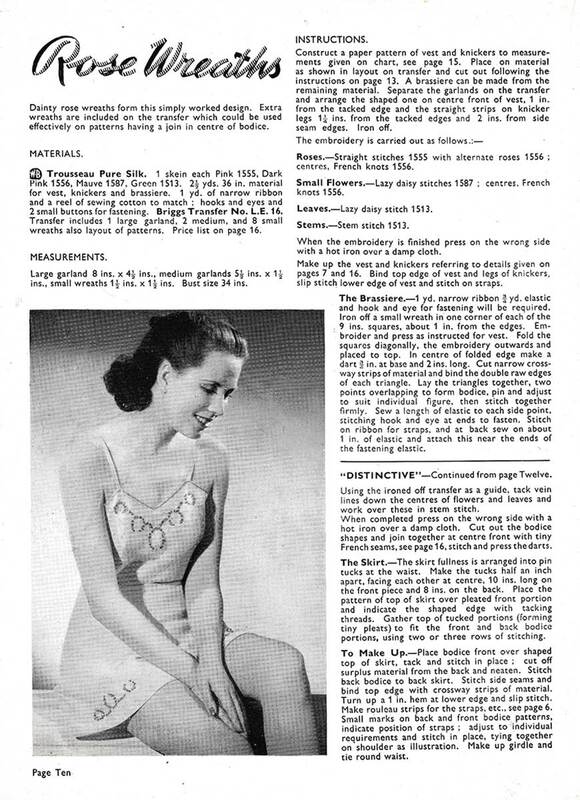 The silhouettes of the garments within this catalogue are typical of the 1930s: slips, tap pants, bralets and camiknickers, all featuring bias cuts and gusseted patterns. 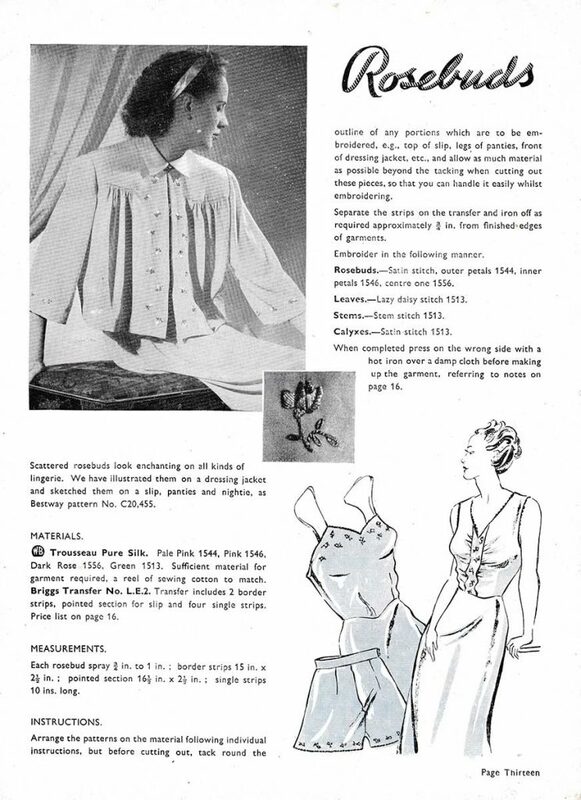 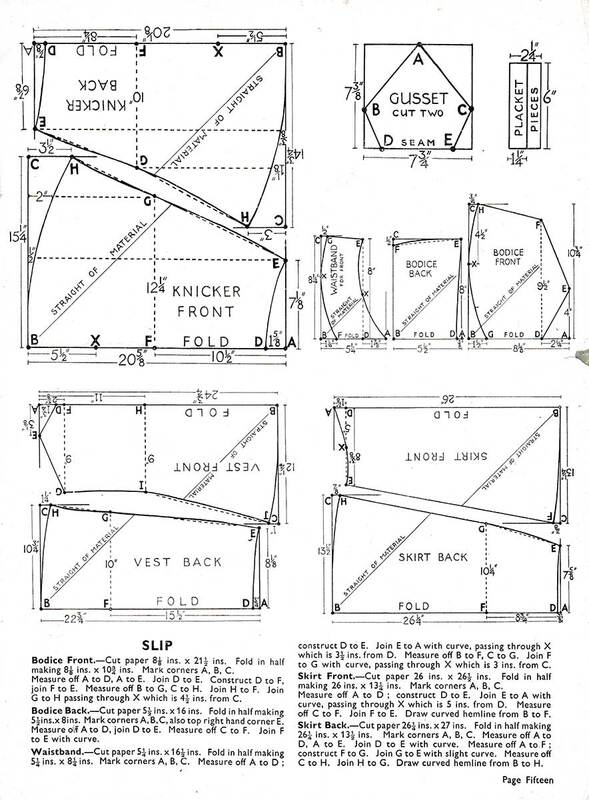 However, it was not uncommon for these shapes to be worn well into the 1940s and 1950s, which makes placing an exact date on this catalogue a challenge.